"Thou wilt keep him in perfect peace, whose mind is stayed on thee: because he trusteth in thee" (Isaiah 26:3). "These things I have spoken to you, that in Me you may have peace. 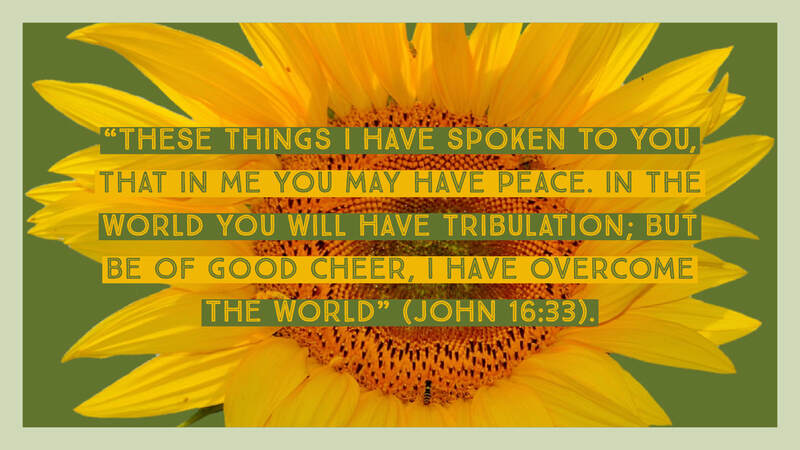 In the world you will have tribulation; but be of good cheer, I have overcome the world" (John 16:33). "Be anxious for nothing, but in everything by prayer and supplication, with thanksgiving, let your requests be made known to God; and the peace of God, which surpasses all understanding, will guard your hearts and minds through Christ Jesus" (Phil. 4:6-7).